Giant Eagle, Inc., is a leading regional multi-format food, fuel and pharmacy retailer based in Pittsburgh, Pa. with nearly 400 retail locations in Pennsylvania, Ohio, West Virginia and Maryland. Giant Eagle has a longstanding history of employing individuals with disabilities, and has been on the frontlines of developing an innovative initiative to provide young people with disabilities in the Pittsburgh area early work experience to help them secure long-term employment. In September 2013, Giant Eagle helped launch the Career Transition Project alongside United Way of Allegheny County’s 21 and Able initiative, Allegheny County, and Blind & Vision Rehabilitation Services. The Career Transition Project is an innovative employment and training initiative that helps young people with disabilities secure work experience and paying jobs as they transition out of high school. Ryan Cenk, who was hired as part of the Career Transition Project, has had a wonderful experience as a team member at Giant Eagle. “I love going in and seeing all my co-workers, interacting with customers and brightening their days,” he said. The original goal of the pilot was to employ 24 students at Giant Eagle during the two-year pilot. 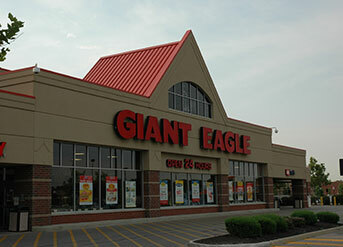 During the preceding 15 months alone, 27 youths have been employed by Giant Eagle. Barbara Graham, a vocational rehabilitation counselor with Blind & Vision Rehabilitation Services of Pittsburgh, was hired into the Giant Eagle team as the first embedded employment professional. Since 2013, Graham has worked with nearly 200 students in this role. Based on the success of the pilot model at Giant Eagle, The Kessler Foundation recently awarded United Way a grant of $378,300 to expand the Career Transition Project. The grant will support the expansion of the pilot project to additional companies over the next two years, providing more opportunities for young people with disabilities across Allegheny County. Awesome! All the cities and states need a Giant Eagle!